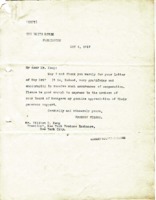 Creator is exactly "Wilson, Woodrow, 1856-1924"
Mr. Francis P Garvan has been appointed to succeed Mr. A. Mitchell Palmer as Alien Property Custodian. 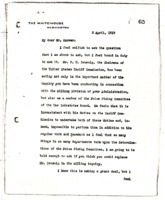 Woodrow Wilson addresses Albert B. Fall’s questions regarding the Treaty of Versailles. 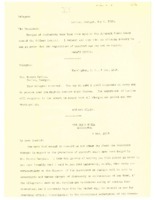 Woodrow Wilson vetoes H. R. 3854, “An Act for the repeal of the daylight-saving law” since the nation needed to foster growth in production more than anything else. 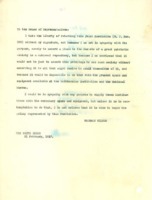 Edward N. Hurley resigns as Chairman of the Shipping Board. 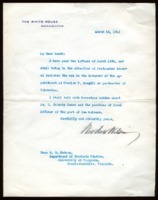 In recognition of the patriotism and work on behalf of the nation by the Boy Scouts of American, Woodrow Wilson proclaims June 8 through June 14, 1919 to be Boy Scout Week. 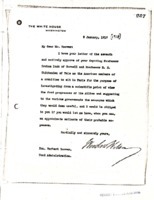 Woodrow Wilson pardoned Lieutenant-Colonel George W. Mixter and Lieutenant-Colonel J. G. Vincent, whom the recent report on Aircraft Production showed to be technically guilty of a breach of statutes, because he believed in their innocence. 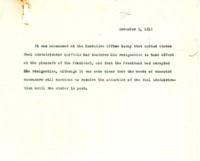 Woodrow Wilson has accepted Fue Administrator Garfield’s resignation. 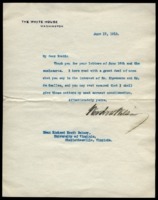 Filipino leper gives his worldly goods towards President Wilson's efforts towards peace. 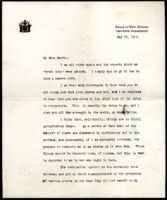 Woodrow Wilson addresses the misrepresentations of the Dumba incident mentioned in the newspapers, specifically that he did not ask for William Jennings Bryan’s resignation. 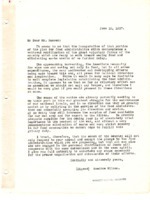 Woodrow Wilson proclaims the week of June 25, 1917 to be Red Cross Week when the American people will be asked to give. 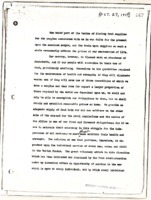 This statement describes to need for and duties of the Food Administration compared to the Department of Agriculture. 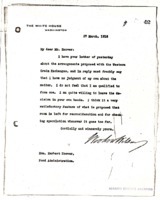 Woodrow Wilson tells railroad officials that he is glad a settlement is coming together. 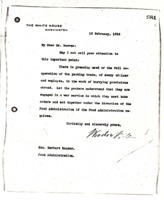 After meeting with his Cabinet, Woodrow Wilson asks railraod officials to resume negotiations with those on strike. 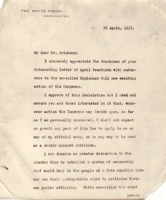 Woodrow Wilson proclaims, in compliance with Congress appoints and proclaims April 21, 1917 as a day for Americans to sending aid to Ukrainians stricken in belligerent countries. 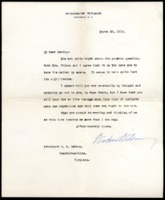 Woodrow Wilson calls members of the Senate to attend a session at 12 o’clock noon on March 5, 1917. 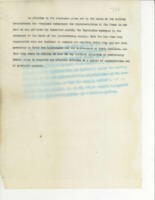 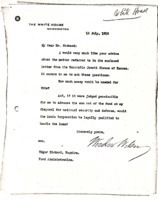 Woodrow Wilson returns Joint Resolution (H. J. Res. 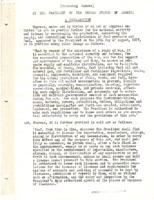 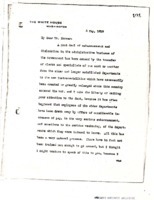 230) without signing because he believes there needs to be contemplation for necessary space and equipment to properly run a national archive. 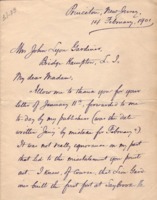 Woodrow Wilson writes to Edgar Rickard about the Honorable Jouett Shouse’s request of a loan for the Grain Corporation. 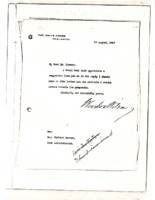 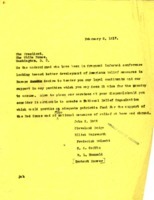 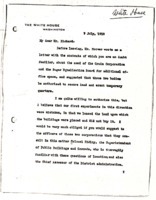 Woodrow Wilson tells Edgar Rickard that the Grain Corporation and the Sugar Equalization Board consult with the Superintendent of Public Buildings and Grounds and the Chief Assessor regarding temporary quarters. 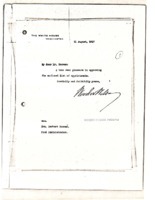 Woodrow Wilson authorizes the Food Purchase Board. 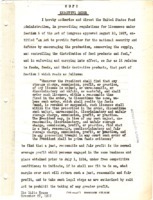 Woodrow Wilson issues an executive order regulating prices for various foodstuffs and fuel. 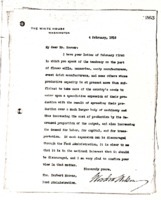 Woodrow Wilson makes a proclamation about licensing bakers in order to conserve ingredients. 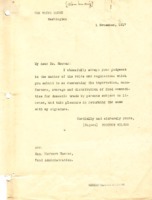 Woodrow Wilson calls on individual Americans to support the food conservation efforts of the Food Administration in order to provide an adequate food supply to meet the relief needs of the war. 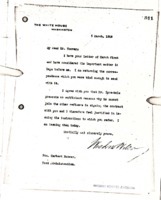 Woodrow Wilson writes asks Bernard Baruch to serve as Chairman of the War Industries Board. 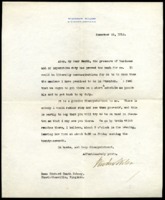 Woodrow Wilson writes to Charles C. Thach about his directions to Herbert Hoover and Commissioner Claxton to prepare and distribute lessons for students regarding the war effort. 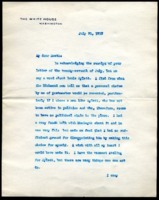 Woodrow Wilson thanks Mr. Kemp for his previous letter. 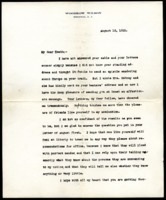 Woodrow Wilson asks Henry S. Prichett to file letters for reference at the next Executive Committee. 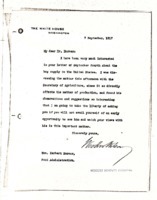 Woodrow Wilson answers David E. Friend’s letter recommending various sources for reference and research. 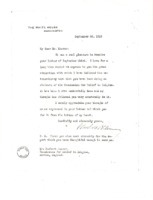 Woodrow Wilson thanks Hans CG von Jagemann for his compliments on his recent book. 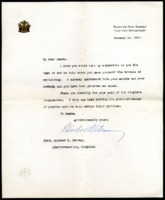 Woodrow Wilson acknowledges receipt of payment for the first and second articles on George Washington for the Magazine from Henry Alden. 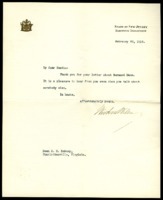 Woodrow Wilson acknowledges receipt of “The Barons of the Potomac and Rapahannock,” and thanks Henry Alden for sending it as it is proving significant in his research. 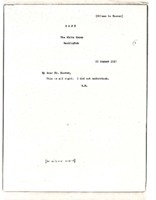 He continues work on his second paper. 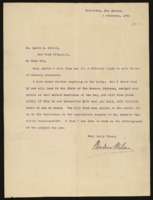 Woodrow Wilson writes to John D. Adams about illustrations for his upcoming publication. 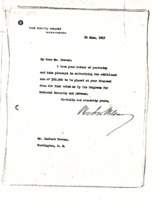 Woodrow Wilson tells Daniel Heath that he intended that none of the Nation’s notice of “The State” be used rather than all of it. 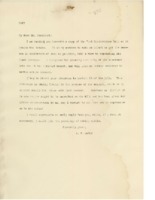 Woodrow Wilson sends Horace E. Scudder a copy of his address asking for his perspective. 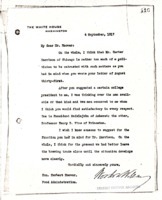 Woodrow Wilson tells Robert S. Barrett that he and Mrs. Wilson will not be able to attend the annual meeting of the Virginia Press Association. 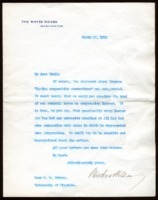 Woodrow Wilson congratulates Richard Heath Dabney on the birth of his daughter. 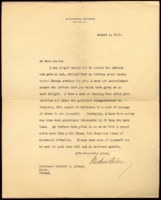 Woodrow Wilson sends a telegram to Richard Heath Dabney with an invitation to dinner. 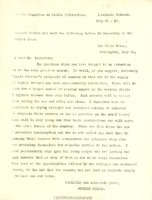 Woodrow Wilson writes to Richard Heath Dabney concerning the recommendation of Mr. Burke for a postmaster position. 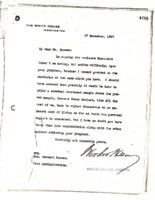 Woodrow Wilson writes to Richard Heath Dabney about promotions and the current situation in Mexico. 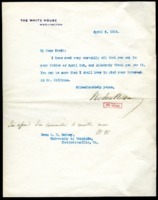 Woodrow Wilson writes to Richard Heath Dabney concerning his recommendation of Lewis Aylett for postmaster at Richmond, Virginia. 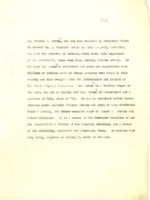 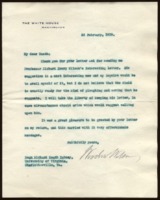 Woodrow Wilson writes to Richard Heath Dabney about considering his recommendations for posts. 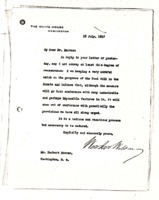 Woodrow Wilson writes to Richard Heath Dabney concerning Dabney’s interests of Mr. Davis. 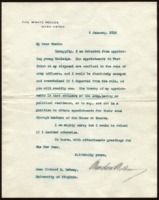 Woodrow Wilson thanks Richard Heath Dabney for his praise in an article Dabney published. 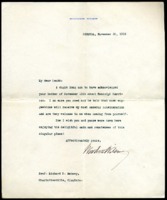 Woodrow Wilson writes to Richard Heath Dabney about turning down Mr. Williams. 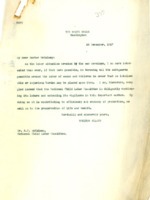 Woodrow Wilson writes to Richard Heath Dabney about corporate lawyers. 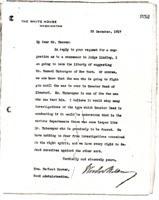 Woodrow Wilson writes to Richard Heath Dabney regarding his recommendation for Stuart Gibboney. 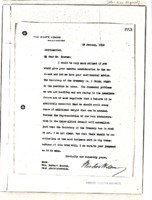 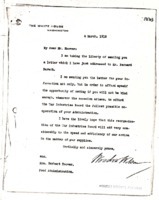 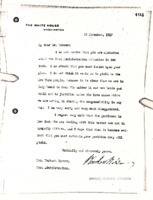 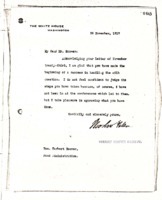 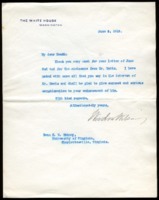 Woodrow Wilson writes to Richard Heath Dabney about filling appointments with his recommendations. 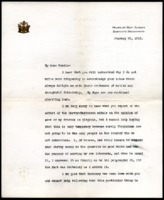 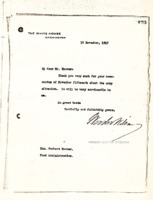 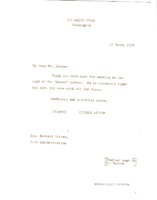 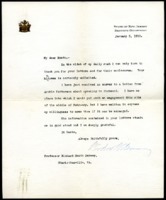 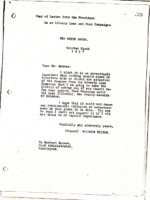 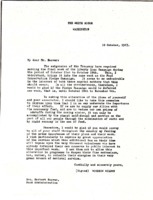 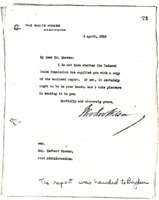 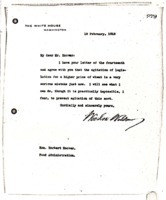 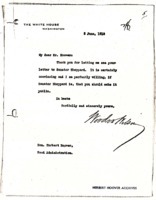 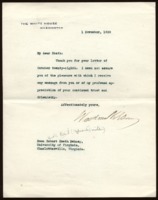 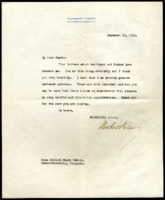 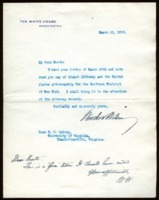 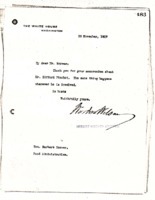 Woodrow Wilson thanks Richard Heath Dabney for his letter about Bernard Mann. 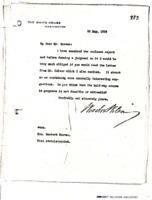 Woodrow Wilson thanks Richard Heath Dabney for information from Seattle, Washington. 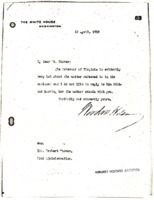 Woodrow Wilson writes to Richard Heath Dabney about considering papers Dabney sent. 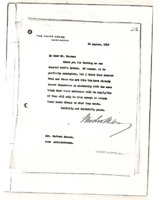 Woodrow Wilson writes to Richard Heath Dabney about his trip to Staunton and the speech he gave. 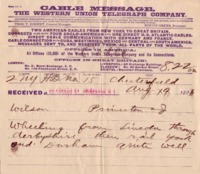 Woodrow Wilson and Ellen Axson Wilson send a telegram to Richard Heath Dabney saying they are unable to stop in Charlottesville. 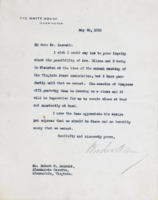 Woodrow Wilson writes to Richard Heath Dabney concerning his trip to Staunton, Virginia. 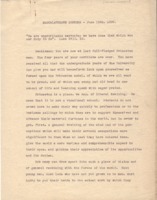 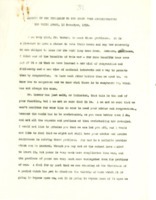 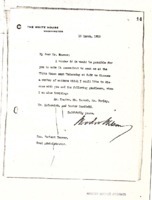 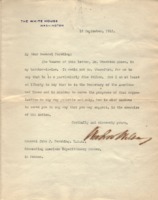 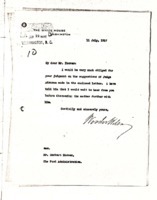 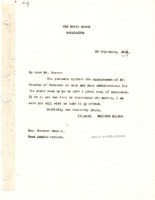 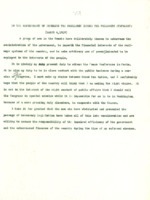 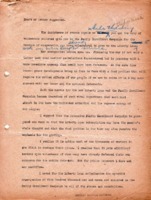 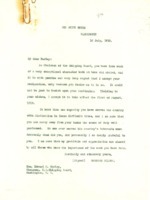 Woodrow Wilson writes to Richard Heath Dabney saying that he will consider Dabney's recommendations for appointments. 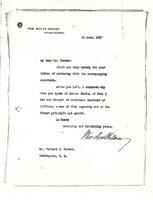 Woodrow Wilson writes to Richard Heath Dabney regarding recommendations for office. 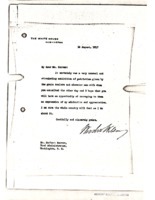 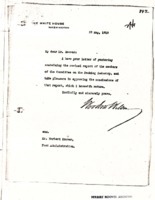 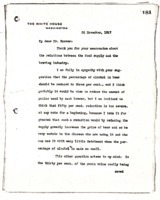 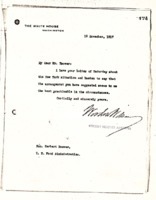 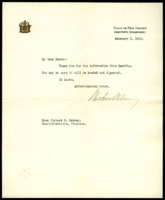 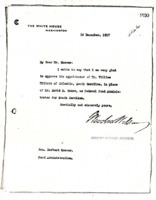 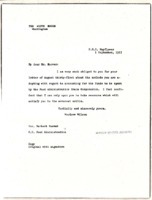 Woodrow Wilson writes to Richard Heath Dabney about accepting recommendations. 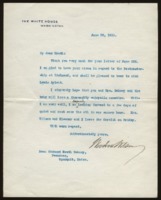 Woodrow Wilson writes to Richard Heath Dabney hoping to visit soon. 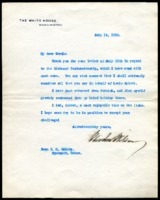 Woodrow Wilson wrties to Richard Heath Dabney about not campaigning while Theodore Roosevelt recovers from a shooting. 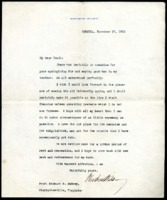 Woodrow Wilson writes to Richard Heath Dabney regarding his standing in Virginia. 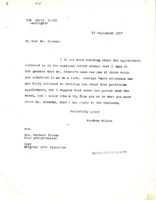 Woodrow Wilson replies to Richard Heath Dabney concerning recommendations for office seekers. 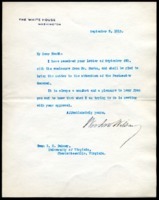 Woodrow Wilson replieds to Richard Heath Dabney regarding Wilson’s nomination for President. 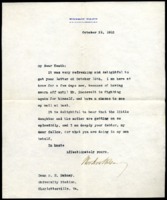 Woodrow Wilson writes to Richard Heath Dabney regarding politics and general public disinterest in the electorate. 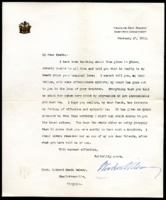 Woodrow Wilson writes to Richard Heath Dabney regarding the pension issue and offers his sympathy for Dabney’s loss. 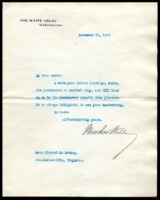 Woodrow Wilson thanks Richard Heath Dabney for birthday wishes. 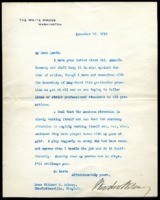 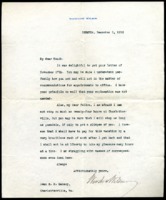 Woodrow Wilson writes to Richard Heath Dabney, declining to sit for an artist. 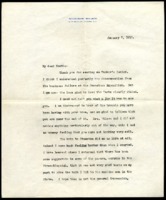 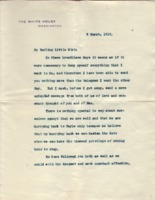 Woodrow Wilson writes to Richard Heath Dabney expressing sympathy for the loss of his daughter, Lucy. 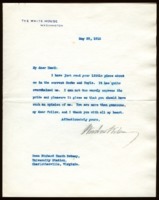 Woodrow Wilson thanks Richard Heath Dabney for his continual trust and friendship. 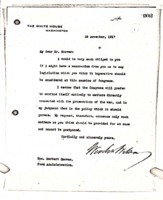 Woodrow Wilson writes to Richard Heath Dabney regarding the poll of the Virginia Congressmen. 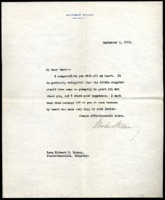 Woodrow Wilson thanks Richard Heath Dabney for sending him Richard Henry Wilson’s letter. 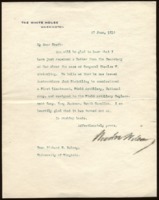 Woodrow Wilson writes to Richard Heath Dabney about speaking in Richmond. 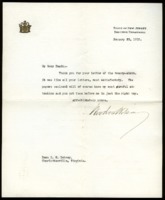 Woodrow Wilson writes to Richard Heath Dabney, regarding the promotion of Corporal Charles W. Strickling. 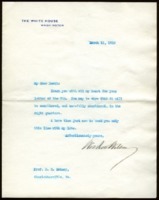 Woodrow Wilson writes to Richard Heath Dabney about Southern politics. 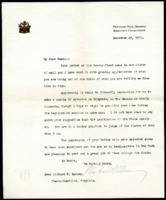 Woodrow Wilson writes to Richard Heath Dabney, declining the request to appoint Rutledge for West Point military academy.